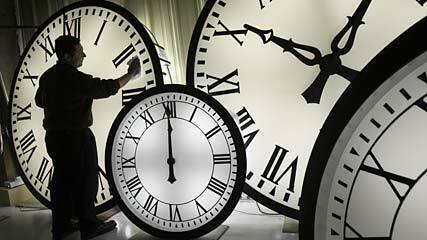 Home » General Interest » How did people tell the time & keep appointments before clocks were invented ? It’s almost incomprehensible to the modern mind not to know the time and the date. Our world would cease to function in the way it does. So let’s imagine then an average man during the Dark Ages, in say in the 9th century. After a hard days work he decides to meet a friend for a drink. Was there an awkward pause after. ‘Okay, why don’t I meet you at my place at… ?’ Or he got a new job as an apprentice carpenter. His boss says ‘Be here right on the dot of … ‘How did he know when to show up? Although the Egyptians and Chinese used water clocks much earlier the mechanical clock was not invented (in Italy) until the mid 14th century. It is therefore likely that , before clocks, most people reckoned the time by following the progress of the sun. 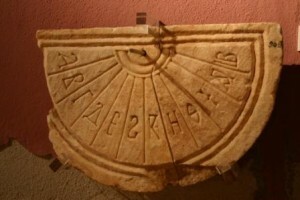 On clear days, following the shadows on trees or on ‘noon marks’ etched on buildings would indicate the approximate time. Before the advent of the mechanical clocks, people were forced to rely on natural events to wake them up. Although approximately 90 per cent of the European population lived in rural settings, even most town dwellers had animals, such as chickens, that made it abundantly clear when the sun had risen. In addition, just as most of us don’t need an alarm to wake up every morning, people would have had the same ‘biological clock’, the same circadian rhythmsCircadian rhythms are physical, mental and behavioural changes that follow a roughly 24-hour cycle, responding primarily to light and darkness in an organism’s environment., that we do today. It also needs to be appreciated that the Medieval way of living was very different to ours today. And it’s not as though medieval peasants had much leisure time. Life was more casual (it had to be when you don’t know the exact time), yet demanding. The workman or farmer was awakened by the rising sun, performed his day’s duties until the sun set, and thus ended his day to retire until the next morning. 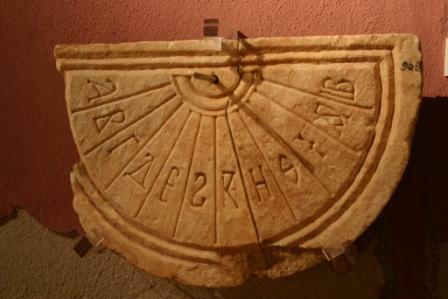 Around 1275, an Italian monk designed the first mechanical clock. The clock was driven by the slow pull of a falling weight, basically like a very big hour hand. 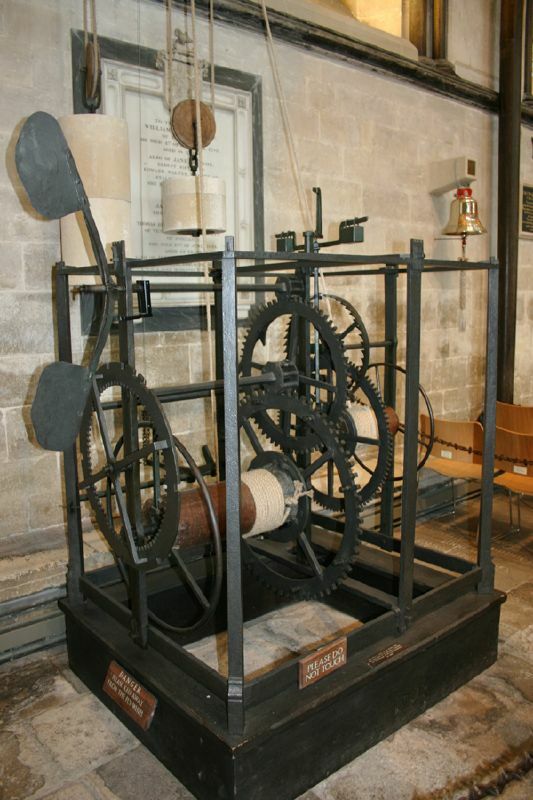 The world’s oldest working clock (pictured above) was built in 1386 and is still ticking away at Salisbury Cathedral in the UK. Like all clocks of that time it has no face but strikes the hour on a bell. Today, the International Atomic Time, kept by 300 atomic clocks around the world, keeps earth’s time to within microseconds of accuracy of solar time. You can discover how an atomic clock works in another article here >>. When tower clocks were installed in villages, they often provided a wake-up service. But in the Middle Ages, clocks reflected the casual approach to time: the earliest mechanical clocks had neither minute nor hour hands; their bells rang on the hour, occasionally on the quarter hour. The Chinese were the first to experiment with timepieces devoted to waking up their owners. The Chinese are credited with using the first rope clocks. The clock consisted of a rope saturated with an oil to support combustion. Through experimentation, they learned the length of rope that burned in an hour. With this knowledge, they tied a knot at the proper length for each hour. To awaken at a given time, the rope was tied to the toe. Thus, when the proper time to awaken arrived, the individual felt the heat on the toe and had little trouble waking up. With the candle clock, by experimentation, it was learned how far down a candle would burn in one hour. Hours, then, were marked on the candle at the appropriate locations. To make this serve as an alarm, the candle was mounted in a large metal dish. A small hook with a small bell was inserted into a location on the candle, which indicated the time to be awakened. When the candle burned to that point, the bell fell into the metal dish, which made a noise – with luck, enough to arouse the sleeper. The demand for more precise alarm clocks came, not as one might expect, from the world of commerce, but from religion. Muslims traditionally prayed five times a day, and Jews three times a day, but early Christians had no set schedule. The emergence of monasticism, a full-time vocation, established the need for routines. And these monks, devoted to the service of God, were methodical in organising their prayer schedule. Although different orders varied, many monasteries divided the day into six segments, mandating prayer six times a day. This demanding schedule included night-time vigils, which required the monks to be awakened after they had gone to sleep. Before alarm clocks, one person was often designated to stay up while other monks slept; the ‘waker’ had the unenviable task of rousing the others for prayer. The mechanical alarm clocks created by the monks were more akin to today’s eggtimers. Subsequent clocks were set to strike at the six (later seven) canonical hours, with varying numbers of bells indicating which prayer service was to begin. Although the average peasant didn’t really need to know or keep the time his ‘betters’ in society did. So most would likely have played it safe, arriving for appointments long before they needed to. If courtiers needed to be at the palace for a predawn ceremony, they arrived at midnight and waited for the drums to beat and the gate to open, rather than risk oversleeping. Time, as we know it, belonged to the wealthy, and peasants were forced to play by their betters’ new rules. And just as most appointments today are set for round numbers (few make reservations at restaurants for 7.38 pm), many times were set to coincide with natural events (‘Meet you when the sun sets!’). Eventually, many towns had clocks on the towers of their tallest buildings, giving more people access to precise times. But this access was a double-edged sword, allowing the wealthy to rigidify, and in some cases increase, the already taxing workloads of peasants and craftsmen. Later, the proliferation of clocks and watches (which were invented in the early 16th century) helped fuel the efficiency and regimentation of the Industrial Revolution.